Queso (n): creamy and gooey molten cheese typically served in a bowl alongside an insane amount of tortilla chips that you will completely devour anyway. What happens when an oak and maple-smoked barbecue brisket gets "caught banging" a bowl of green chile-spiked asadero cheese? 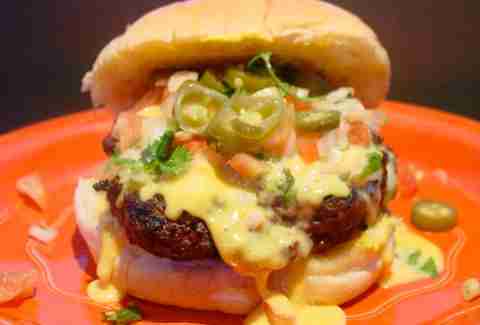 You get the "Knocked Up" smoky queso -- a cheesy, beefy lovechild that only a "gastropub meets Texas icehouse” could conceive. Trust us when we say you want to eat this love child. The city’s oldest Tex-Mex joint claims to be the O.G. 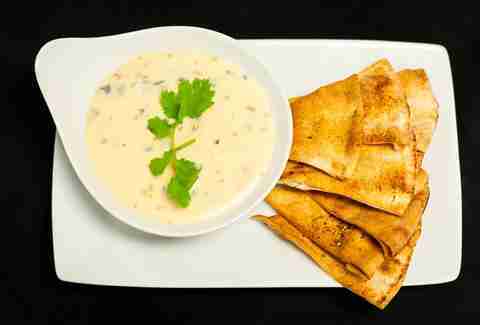 of this silken, spicy meat and cheese dip. Some story about a waiter named Jose throwing taco meat into a bowl of chile con queso and BOOM. Magic. We don’t care if it’s true or not. Jose is a genius and his dip is magic. 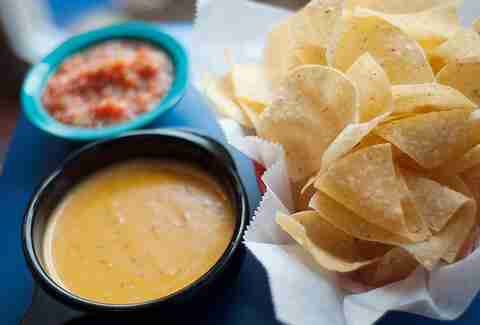 Like it or not, classic queso is made with highly processed cheese. Fusion Taco ups the ante by using the cheesier Golden Velvet product in lieu of Velveeta. With a little bit of cream, fiery house salsa, and chipotle peppers, the result is a bright orange bowl of cheese that you kind of want to dip your fingers in, but it’s hot, so you settle for fresh chips instead. While we are surprised that something this good has come out of Austin, the real surprise here is the guacamole hidden inside this chain’s chunky cheese goo. 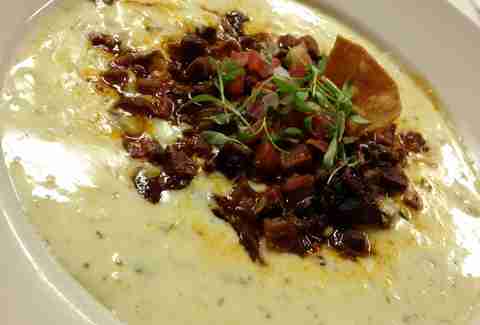 It makes for a thicker, creamier dip, but the loads of green chiles, Diablo sauce, and queso fresco don’t hurt either. We feel that we shouldn’t have to explain why you should eat this. But we will. Two words. Queso. Burger. You’ll get fresh tortilla chips and salsa the moment you sit down at this 21-year-old restaurant, but you’re missing out if you don’t order at least one bowl of queso. Don’t be fooled by its paleness, this white cheese dip -- served with green pepper and ground beef accoutrements on the side -- is no joke. Imagine poutine. Now imagine poutine if some madman from the Gulf Coast got a hold of it and replaced cheese curds with spicy, chile-spiked queso and added shreds of the most mouthwatering roast beef to the gravy just because HE’S MAD. 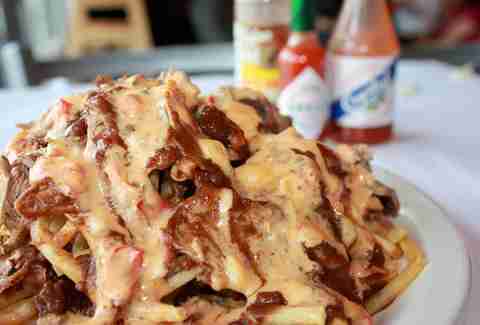 You now have this plate of fries that you have taken to Uber-ing yourself to pretty much every weekend. This creamy white dip is made with four kinds of real cheese, making it about four times as awesome as regular queso. The bowl’s already boasting grilled jalapeño, olives, and roasted peppers along with its melted Beemster, sharp white cheddar, Gruyére, and Kefalograviera (go Greece! 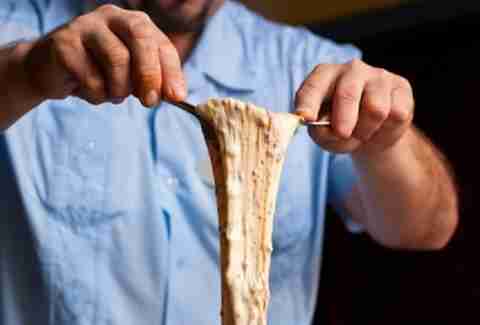 ); but if you want to make it even better, throw on some cinnamon and nutmeg-spiced kibbeh. Do it. 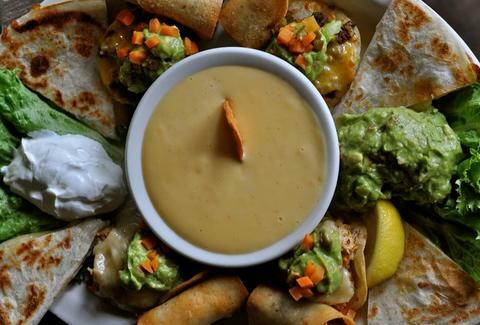 When Felix Mexican restaurant closed, cheese lovers mourned. Thankfully, El Patio revived the restaurant’s namesake dip. The ultra-cheesy, stupidly greasy dip is a fat boy’s dream. Pile it on your chips, then stuff your face with said chips as you think back on the good ol’ days. 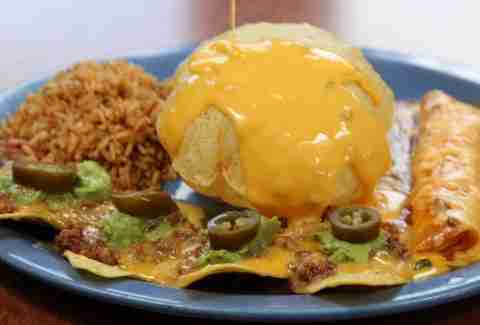 Los Tios douses its smooth, bright orange chile con queso onto a giant crisp puffy taco ball. One bite and you’ll never look at tortilla chips the same way. Ninfa’s makes this cheese casserole with a mix of Oaxaca cheeses and spicy-as-hell chorizo, then serves it all melted and stretchy inside hot and fresh grilled tortillas. It’s basically like grilled cheese for grownups. 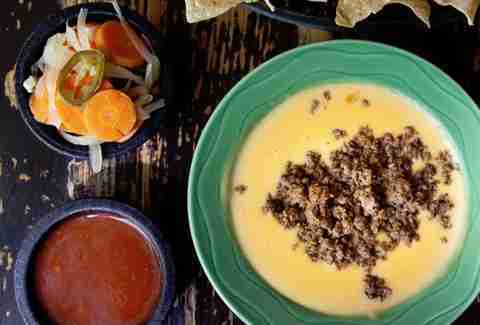 The chips that this classic Tex-Mex haunt serves with its superb, velvety cheese dip are made with flour, making them more supportive vehicles for all of that queso that you’re shoving into your mouth. Piping hot, fat, and fluffy, they remind us of a Taco Bell chalupa shell in the best way possible. The plate only holds a handful, so practice your best hand box out or hope your friends are too marg’d up to notice the difference when you switch them out for the free corn chips. This could possibly win best queso period. 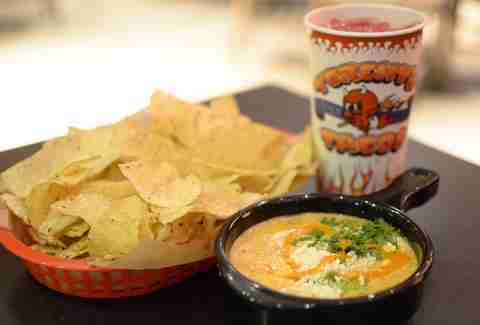 Because, let’s face it, there’s no better queso than free queso. During Chuy’s happy hour, this silky, chile and ranchero-spiked cheese dip is served in a "nacho car" (yes, it’s an actual car) alongside salsa and hot and fresh chips. For FREE.